This workshop will provide examples of how engaging through the infant and/or child within very stuck families can offer the fastest pathway to healing and overt a baseline for safety which honors the subjectivity of the infant and child, and their right to participate in work which directly affects them. The practice principles, theory, and evidence behind this way of working will be presented and opportunities provided for participants to reflect on how this way of working might enhance their current practice. 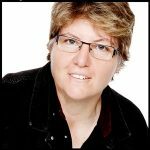 Wendy Bunston, BSW, PhD of WB Training & Consultancy (Australia) has worked in the child and family welfare sector for 30 years. Her 2016 PhD won the prestigious ‘Nancy Millis’ award. Wendy is the author of multiple international articles, chapters and her book, Helping Babies and Children to Heal after Family Violence was published in 2017, with another book due out next year.